If your child is suffering from an allergy, the best way to cope with it is by getting the proper medicines to relieve the symptoms. 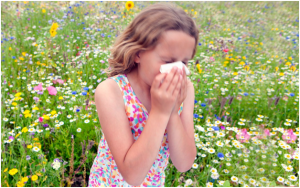 There are a number of medications and therapies that alleviate the symptoms of allergies. A great option, if your child can’t take medicine,is immunotherapy. In fact, it is one of the closest things available to a cure. Immunotherapy involves injecting the child with small bits of allergens that are causing the reaction. Slowly, the child gets desensitized to the said substance. When you decide to go on a vacation, make sure you choose a season that doesn’t alleviate the allergy’s symptoms. Summer and spring are the seasons that can be rough on a child with allergies, so plan your vacation during winter or autumn. Inculcate the habit of cleaning and bathing every day in your child. This makes sure that pollens and other allergens that are accumulated are washed off. Also, make sure that they wash their hair every day, for this is where most of the microscopic particles are accumulated. Children love animals but all pets shed, some more than others. A child with allergies can be severely inconvenienced by all the dander the pet will shed. If your child is adamant on getting a pet,go for a breed that doesn’t shed much.At the same time, do consult your doctor before doing so. If your child suffers from food allergy, stop using packed and readymade food immediately; they might have ingredients that may trigger an allergic reaction. Try cooking food from scratch at home. There are a number of websites that provide you with simple, uncomplicated dishes that you can easily cook at home. If you decide to eat at a restaurant, make sure that you call ahead and ensure that they serve food that your child can eat without any worries. There are many restaurants that mention common allergens, such as peanuts, against the dishes. Many restaurants also take in customer requests to cook-up dishes that don’t contain certain ingredients. There are many other small things that you can do to make both yours and your child’s life easier, like carrying home cooked meals when travelling. You can educate/inform the teacher and the baby-sitter about the allergy your child suffers from. You can also ensure that your child doesn’t goes out to play between 5 and 10 am when the pollen count is at the highest, and if you love going for outings, prefer beaches and lakes over parks where the air is riddled with pollens.